With Industry 4.0 and Industrial Internet of Things (IIoT), new communication protocols are emerging or being updated. These protocols demand technological updates at industries, mainly related to their network infrastructures, and generally leading to large expenditures. Given that the 802.11g standard is a largely used communication protocol, mostly in residential and commercial applications, many industries also adopt such standard mainly due to its low deployment and maintenance cost. In this scenario, there is a need to evaluate signal quality to better design the network infrastructure in order to obtain good communication coverage. 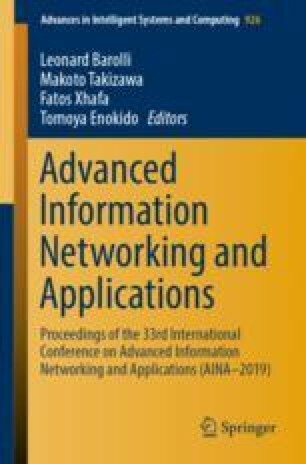 In this work, we present a practical study about the 802.11g signal strength in a thermoelectric power plant. We have compared our measured values with the estimated ones through the Log-Distance Path Loss model. We concluded that it is possible to use this model in an industrial environment to estimate signal strength with a low error by choosing the right propagation (path loss) exponent. The authors thank Borborema Energética S.A. and Maracanaú Geradora de Energia S.A., sponsors of the ANEEL GASIS R&D project, in which this research was inserted, as well as CNPq, for having financed some months of the master’s research of the main author.